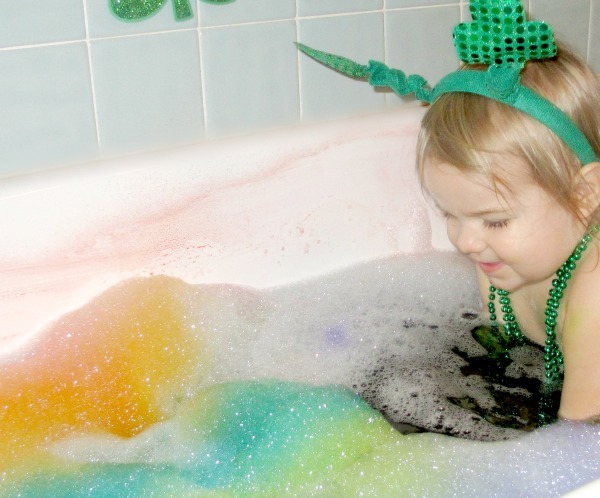 By now many of you are familiar with our wild and wonderful themed sensory baths. I really love creating these for Rosie and Jewel. 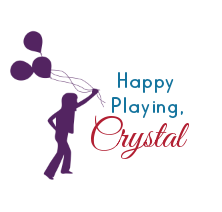 With another holiday comes the opportunity to create yet another fun bath! 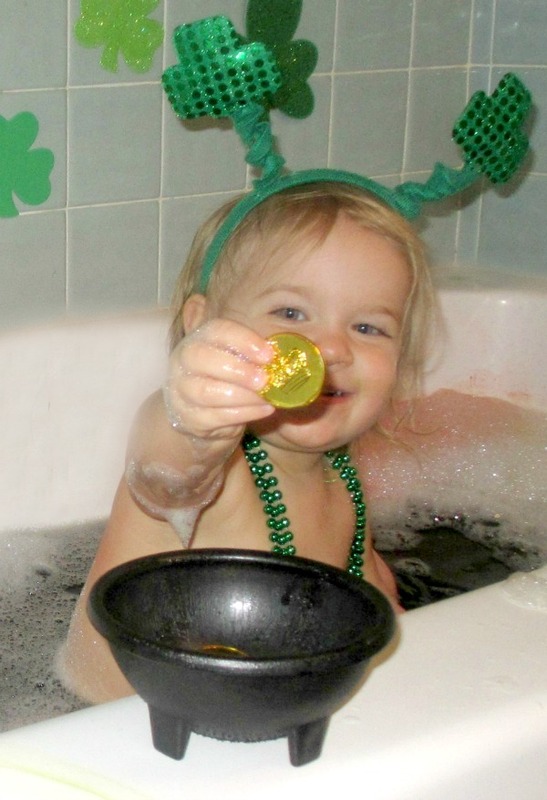 The first thing I did to create this bath was fill the bottom of the tub with treasure. 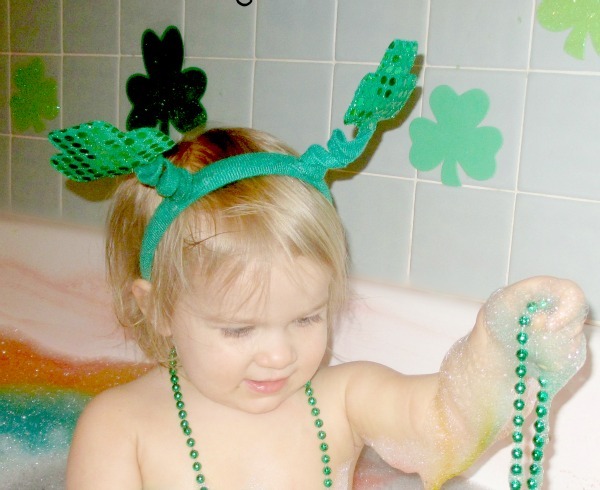 I used gold and green coins, necklaces, and shamrock gems, all of which I purchased at The Dollar Tree. 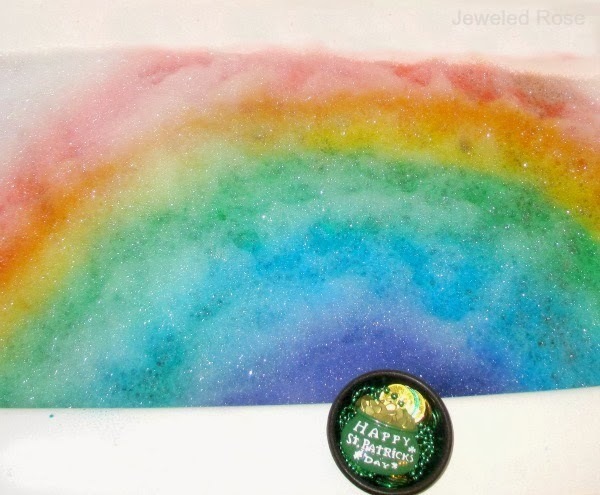 Then I filled the tub with heaps of bubbles. 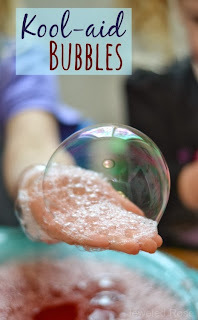 I find that most bubble brands work equally well, so I actually use the cheaper stuff and just use A LOT of it! 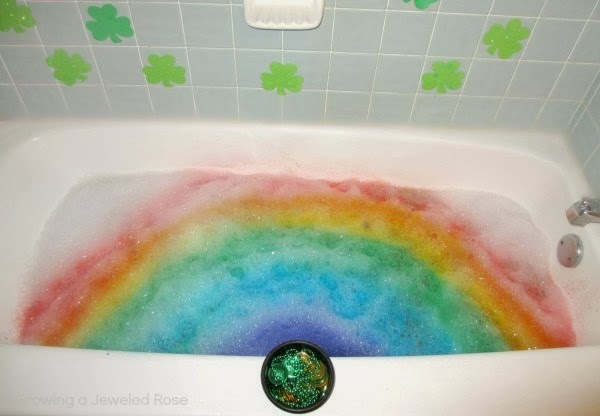 Then I spray painted a rainbow on the bubbles. To do this I used washable liquid watercolors. I purchased mine here, and I find them to be well worth the initial investment. 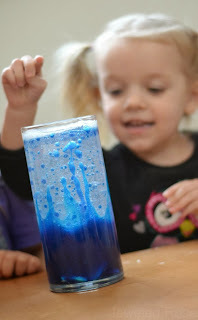 Rosie has used watercolors in so many ways and uses them to spray paint the bubbles during her bath often. 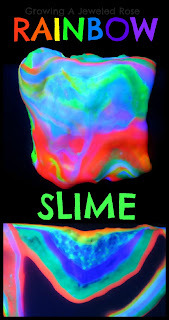 If you don't have liquid watercolors on hand and want to recreate this you can use food coloring. The colors just won't be as vibrant. I also decorated the bathroom wall with foam shamrock cut-outs. Foam shapes "magically" stick to the bath walls when wet . They basically act as bath stickers that can be used over and over again. 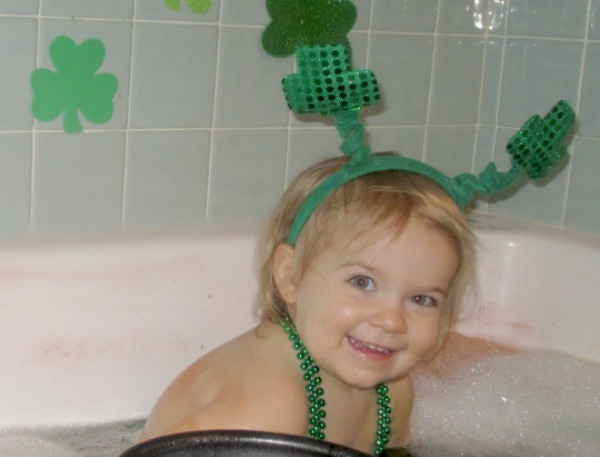 This bath was fun, easy to create, and everything washed right down the drain after play. A Few Tips: The watercolors did not stain the bath or Rosie's skin. They are washable. 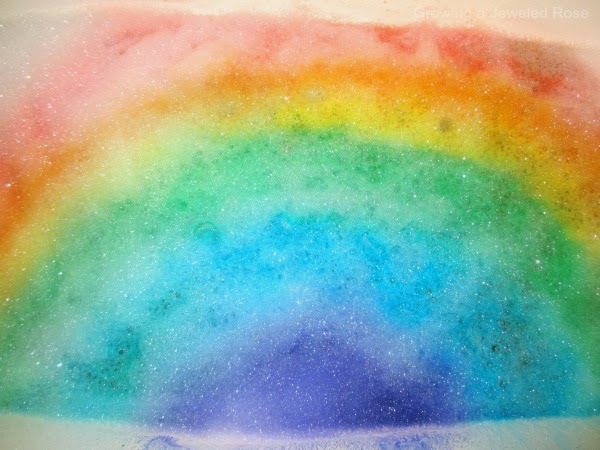 However, if you ever have any residual coloring from a fun bath activity fill a spray bottle with bleach, grab a sponge, and that should do the trick. This has always worked for us.